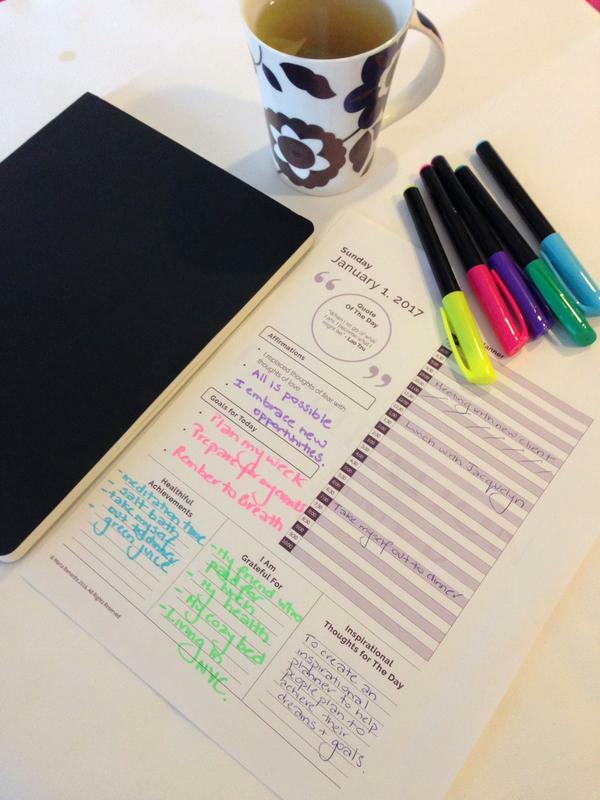 The MANIFESTATION PLANNER™ is an organizer, self-care planner and journal all in one. It tracks all your daily activities and more. It is a powerful yet simple daily planner that will help you structure your day, focus on the good in your life, and reach your goals quicker. It allows you to record important events, highlights and thoughts. It’s a one stop shop for your daily work schedule, key goals for the day, inspirational quotes, positive focus affirmations, key goals for the day, empowering reflective thoughts and ideas, gratitude highlights, prayers, life detox practices, your vision (dream) board, healthful achievements/wins for the day and more. The MANIFESTATION PLANNER™ replaces all of these items and more with one simple easy to complete planner. You no longer have to refer to multiple sources to find, document and track all this information. It will organize all this information one easy to find place and save you time and money. Additionally it will organize you and help you focus on your goals. These are the tools and information I use and share with my clients in my health and wellness business. -will keep you focused on your health and making healthful choices that will Increase your body and minds natural defences and keep you strong and focused. 5. Key dreams and Goals for 2018 – a section for the dreams and goals you would like to manifest for the year 2018. Vision (Dream) Board – a section to create your Vision (Dream) Board for your life – pages to glue some pictures and to write some bold statements about what you would like to manifest for the year. A great visual way to set your personal goals and dreams. Morning/ Evening Preparation & prayers – Tips on how to start your day off with the right energy and Morning Prayer. Blank pages to include your own notes and prayers. Tips on how to re-energize overnight, sleep restfully, reflect and recharge to wake up productive and renewed. Blank pages are also included for you to include your own notes. Full Moon & New Moon cleansing and manifesting practices – full moon letting go practices and new moon letting in the new abundance practices. This will assist with clearing old patterns/energies, reinforcing new ones, connecting to source to receive answers and the direction you need to take to manifest your goals and vision board. Daily Planner Pages – A page for each day of the year that includes a daily inspirational quote, space to record your key goals for the day, gratitude for the day, affirmations, brilliant and inspiring ideas and thoughts of the day, healthful achievements (self-care wins), and what’s on the schedule for the day. Guidance and examples of how to complete the healthful achievements (self-care wins) section is provided. WE ARE NOW ACCEPTING ORDERS FOR A BOUND COPY OF THE MANIFESTATION PLANNER™. IF YOU WOULD LIKE TO PREORDER A COPY PLEASE EMAIL US ON THE CONTACT PAGE.